Another week full of new releases on itunes. Even though I literally can’t listen to her without cringing, its completely unavoidable to mention that Taylor Swift is releasing her third album ‘Speak Now’ this week. Its the follow up to 2008’s ‘Fearless’, which went on to win the Grammy for Album Of The Year. Regardless of my ill feeling towards her, this is expected to be one of the years biggest albums. As always, itunes is full of new releases today. 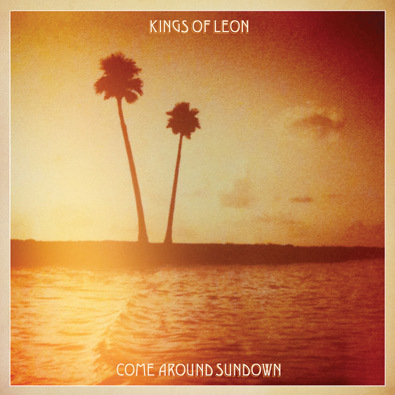 Kings of Leon’s follow-up to their 2008 hit album, ‘Only By The Night’ is released today. ‘Come Around Sundown’ is proceeded by lead single ‘Radioactive’, which was released in mid-September. After the critical and commercial success from their last album, the anticipation was high for this album. I actually liked their campaign for this album, because many people thought they had sold out after finding success. With little promotional push, it will be interesting to see who the true fans really are when the albums sales are counted next week. A lot of people like my article last week about Trey Songz and Linkin Park, so I decided I would use the same format and revamp Release Me Tuesday. In the past I’d simply list what songs and albums came out, but now I will focus on realistic predictions and possible chart positioning. 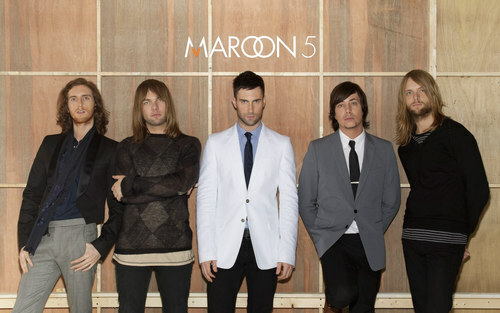 Maroon 5’s new album, ‘Hands All Over’, is the biggest commercial debut this week. Their first two albums were multi-platinum sellers, making them one of the most successful band in the 2000’s. ‘Hands All Over’ seems to be getting off to a rough start because their first single, ‘Misery’, stalled at 17 and their second single, ‘Give A Little More’, has yet to hit the top 40. I’m sure the album will sell on their name alone, but without strong radio support its hard to see them brining in big numbers. The other problem for Maroon 5 is the fact that The Zac Brown Band is currently beating them in the itunes store. Their sophomore album, ‘You Get What You Give’, shot straight to number 1 on their first day. The band is one of the biggest acts in country music right now, and they received a lot of publicity in February when they won the Grammy for Best New Artist. Consider the hype around them I could see them pulling out some impressive numbers. Country acts have been selling pretty well these past few years (Lady Antebellum, Miranda Lambert), so I would actually not be surprised if they debuted at number one. John Legend & The Roots released their joint album ‘Wake Up’. The album is guaranteed a debut in the top 10, being that everyone involved with the project has such high profiles. The album is currently number 4 on itunes, so that should result in a top 5 debut. Teen star Selena Gomez and the Scene released their sophomore album ‘A Year Without Rain’. Being that she is one of the disney princesses I am sure she will have a lot of young fans buying her CD this week. Younger fans tend to buy the physical album, so its hard to say where she will end up. She could beat out ‘Wake Up’ depending on their physical sales, but she is currently at 10 in the itunes store. Sadly it looks like Shontelle will miss out again on the top 10. Currently her sophomore album ‘No Gravity’ is at 31 in the itunes store. She should of released the album when ‘Impossible’ was at its peak. Now it’s looking like Shontelle is really going to suffer from lack of radio play. I’ll be surprised if ‘No Gravity’ hits the top ten, although I wish her the best of luck. What do you think of this week? This is another pretty slow week for itunes. Not a lot of new major albums have been released just singles mostly. 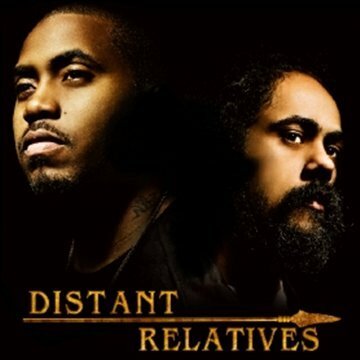 ‘Distant Relatives’ is the new album from rapper Nas and reggae artist Damian Marley. The album is a mix of both reggae and rap sounds with some politically charged lyrics and topics. The song I have heard thus far are staying true to the concept of the album and are proving to be a true mix of both genres of music. The album was proceeded by the first single ‘My Generation’ which featured Lil Wayne and Joss Stone. Check it out if you like Nas, because the album seems to stick true to his rapping and subject matter. I don’t think the album will be number 1 next week but we should see a top ten debut due to the larger fan base that both of the artist have as well as the many features on the album. Janelle Monae released her first full length album this week. 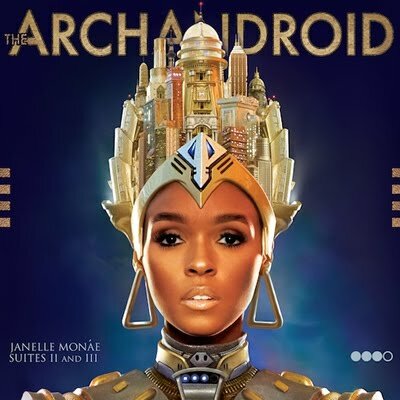 ‘The ArchAndroid’ is meant to tell a story which started from her first EP last year. The CD contains suites II and III, the first being the EP released last year. 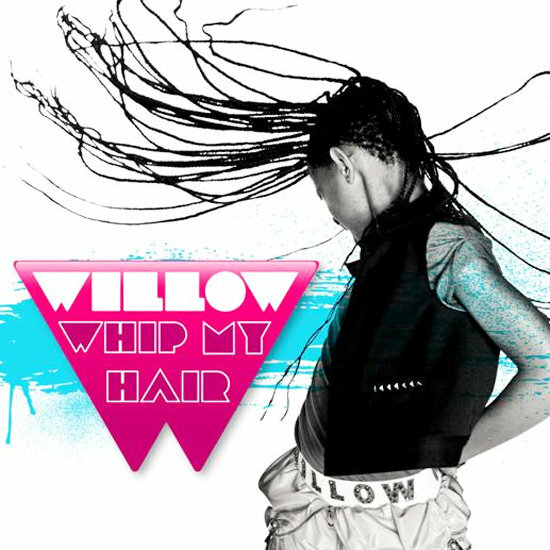 Anyone who is interested in alternative R&B shuld check this album out. Janelle has a wild throwback sound to her and an amazing voice. She is insanely creative, I saw her open for No Doubt last summer. She has a great stage presence and is fully determined to put out the music that she wants even though she is a new artist. Just check out the lead single ‘Tightrope’ feat. Big Boi of Outkast to get a taste of what you should be expecting. 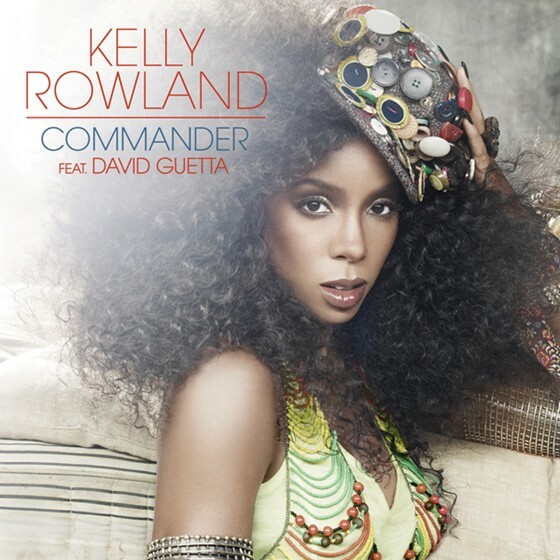 After being away from the music scene as a lead artist since 2007 Kelly Rowland returns with her new single ‘Commander’. 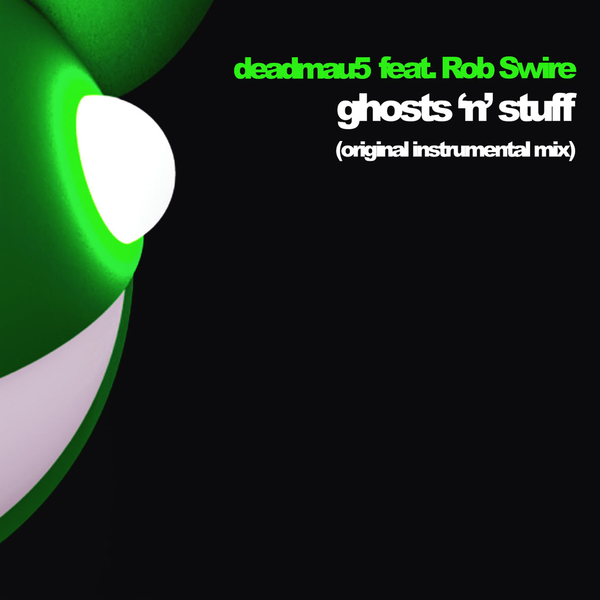 The song was produced by David Guetta, who teamed up with Kelly last year for his single ‘Love Takes Over’. ‘Commander’ really proves that Kelly has finally found her calling as a solo artist in the music world taking her away from the R&B roots of Destiny Child into the dance-pop world. It may be common but Kelly is actually brining something good to the table so make sure to check this one out. 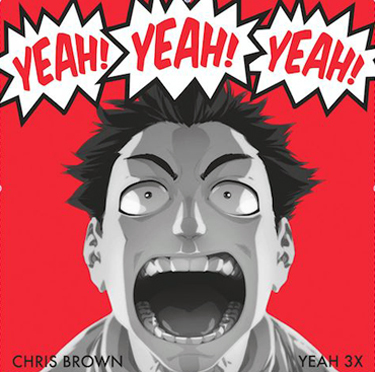 I may do a review of the song later in the week. Miley Cyrus also released her new single ‘Can’t Be Tamed’, we can all thank the 12 year old girls next week when she debuts in the Top 10 I’m sure (nods head in disapproval). As I’ll tell you to do every week, explore through itunes and listen to something you may not know yet. You never know when you will stumble upon the next big thing. This is a new segment that will highlight some of the new releases that are released on itunes for the week. Every week on tuesday itunes has new singles and albums up for purchase. Since I cannot review every song and album every tuesday I will quickly highlight some new releases the stuck out to me. 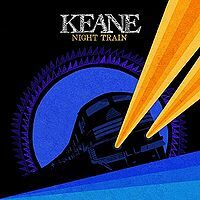 The english band Keane released a new EP today entitled ‘Night Train’. For those of you who don’t know an EP is basically a mini album-it does not have the amount of songs to be considered a full album. Many artist do this to keep themselves relevant, but also for their fans to receive music. The EP was proceded by the single ‘Stop for a Minute’ featuring up and coming artist K’Naan. The song itself is great with a nice piano beat so make sure to look out for that. 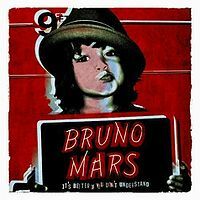 After being feature on the number 1 single ‘Nothin’ On You’ singer Bruno Mars has released his first set of songs. The EP titled ‘Better If You Don’t Understand’ is meant to introduce the general public to the singer. As a songwriter, Bruno joins the many writers who step away from the pen to the mic. Featuring appearences by B.O.B and Cee-Lo the EP is a really good listen with some smooth new songs perfect for the summer. Things are looking good for Bruno if this is any indication of his debut album. If your looking for a more traditional sounding R&B single than listen to Fantasia’s ‘Bittersweet’. 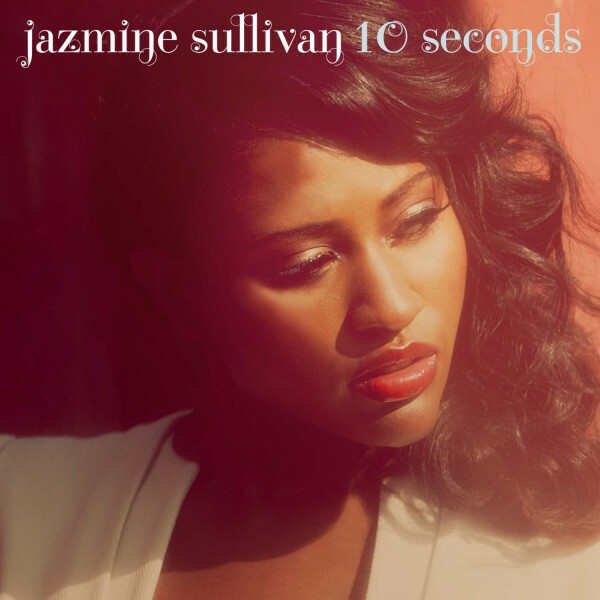 The first official single to her third album brings her straight back to her her R&B roots with a modern twist. Also out this week is Katy Perry’s new single ‘California Gurls’ featuring Snoop Dogg. 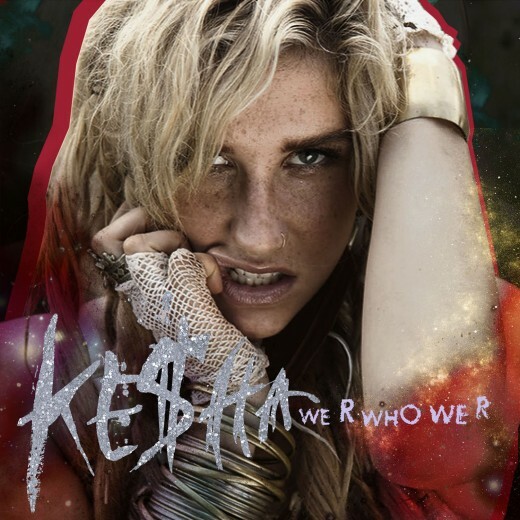 If you look for a song that sounds exactly like Kesha then check it out, otherwise I would say pass. You should always look through itunes on tuesdays because you never know what you will discover.